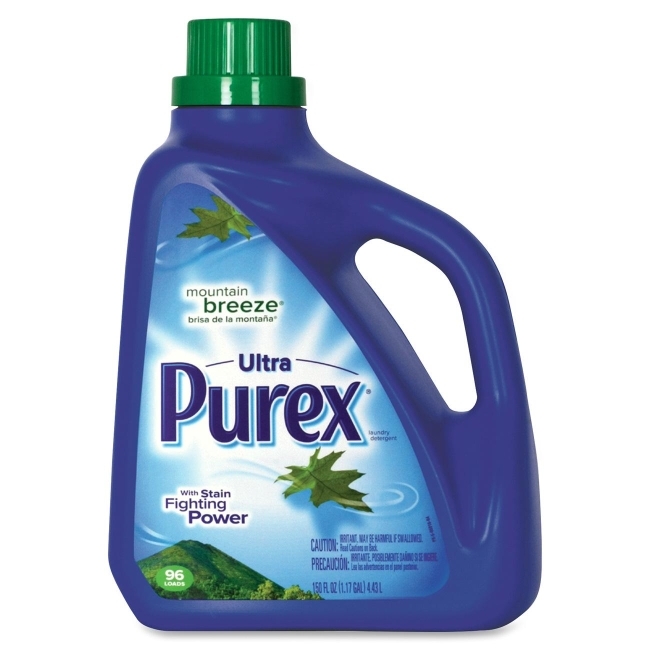 Concentrated liquid detergent with a mountain breeze scent is ideal for everyday use, penetrating deep down into fabric fibers, removing ground in dirt and stains. Purex Ultra Concentrate Liquid Detergent is specially formulated with stain-fighting ingredients, so clothes and linens are always fresh and clean. Large container of concentrated detergent yields 96 loads.